It doesn’t matter what age people are, they enjoy when they are doing something and the joy is even bigger when they realize that at the same time they are also learning! The younger the students are the more important is that they can touch, look and test the properties of the possible object. How many edges are in a cube? Third grade students need a model of cube in their hands so that they can see and count the edges. Most of the six grade students can tell the number of edges without seeing the model. How many cubic decimeters are 200 cubic meter? Unit conversations have been taught on the 5th grade but 6 grade students did not have any idea what to answer! 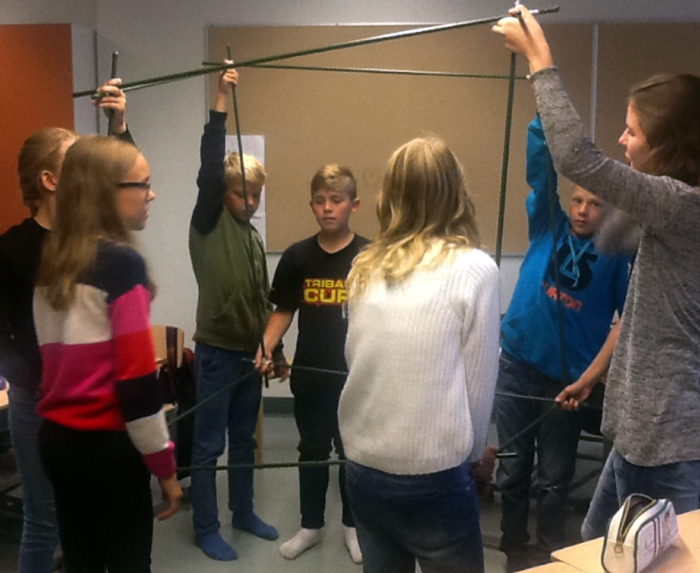 Once students built a model of cubic meter with sticks they could give the answer by deciding and understanding the size range of answer. Examine the Platonic solids and determine how many faces, edges and vertices leach of them has. 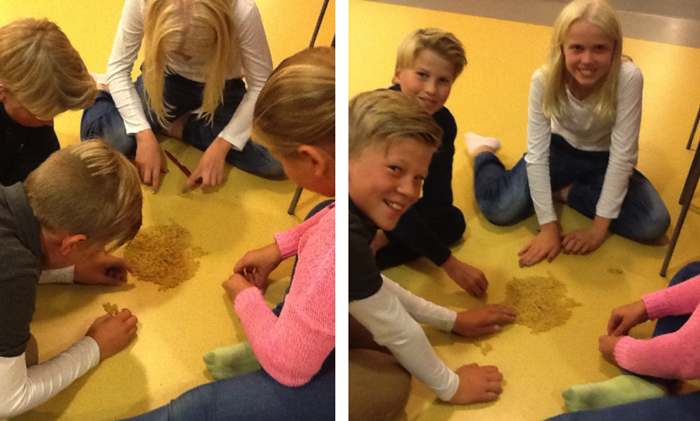 Students from 7 to 8 grades need to build most of Platon solids to be successful in this research. You can give more demanding research to the older students. What is the pattern in the number of faces, edges and vertices in Platonic solids? Some of 9 to 10 grade students start their research by drawing the solids, but still some students like to build some models. We think mostly that learning by doing is building models using paper and scissors. Learning can also happen when students are for example measuring. With paper and scissors student is often investigating alone, but also in many cases you can build groups where students are working together. Then the mathematical talking come to more important role. Students’ talking should be important part of learning situations. They use their own language, test it with their classmates and after practicing they begin to use more precise math words. Different groups got different tasks. They had to estimate first and then measure their object. Here students are counting the number of raw macaronis. Students don’t even realize that they are learning because they’re so interested in what they’re doing. When learning by doing is a part of learning environment you can see how students are focused, fully attentive, motivated, engaged, and enjoy their work. Jean Piaget (1896-1980), a French scientist, taught about discovery learning; the idea that children learn best through doing and actively exploring.